Enjoy this post? Get our free RSS feed for all our updates. There are no comments yet. Use the form below to add the first one! Sorry, only logged in users can leave comments. 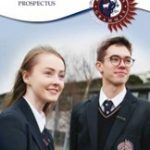 Click on the image above to view the Aquinas prospectus online or click here to download a pdf version. © Aquinas Grammar 2019. Built on PliablePress.